At Brant Lake Camp, we believe we have a unique and more thoughtful approach to caring for kids. It starts with really knowing each and every one of them– from their unique personalities, to what sports they like, whether they are lefty or righty, who their friends are, and a whole lot more. And it permeates everything we do. Importantly, our Key Staff (their maturity, quantity and experience), our three Mini- Camp System and our Unique “Hybrid” System of Counselor Utilization, among other factors discussed below, differentiate us from other top tier camps. 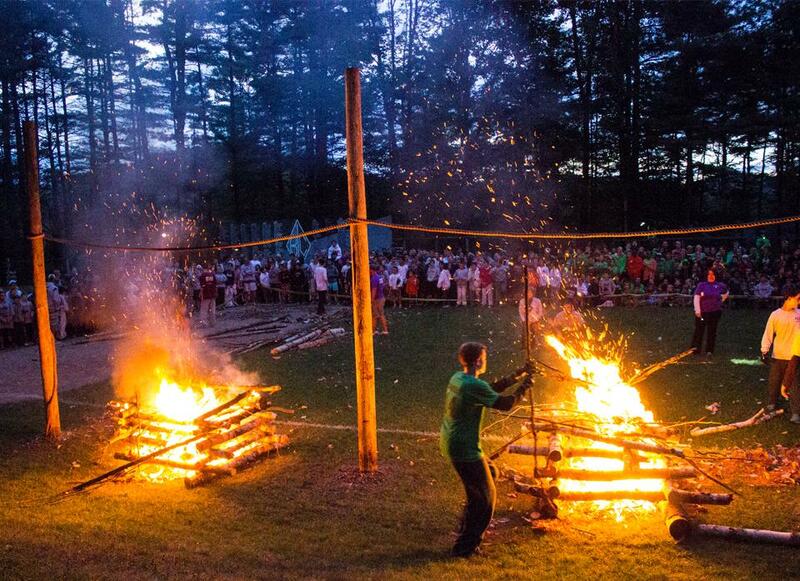 Together, these unique aspects of Brant Lake Camp allow us to know our kids to an unparalleled degree. The following are some of those key areas where our thoughtful approach provides for a better and richer experience for all our campers– thereby enabling them to thrive, reach their potential in becoming responsible young adults and attain great growth in sports. While we hire great college age counselors each summer who are well trained by us, many of whom who are returnees and do a great job– they are not the ones we want making key decisions about what is safe or appropriate for our campers during the course of each day. We believe a great camp needs mature supervision of both staff and campers to insure that good judgement is always at hand. At Brant Lake Camp, we believe that the number one factor in our long term success is the quality and quantity of the over 30 experienced adults who we call Key Staff. These individuals play leadership roles in areas such as Head Counselors, Group Heads, Athletic Directors, Activity Heads and Guidance Personnel. Each of our three Mini-Camps (100 plus campers in each) has at least six Key Staff members working primarily, if not solely, within that Mini-Camp– and they also know each and every camper extremely well. By having so many Key Staff members throughout our camp, involved with activities and directly supervising campers, we can keep counselors doing what they do best; being friends to kids as well as serving as role models, coaches and assistant teachers. We believe that’s a thoughtful approach to supervision. As boys become older and more mature, we believe that their program should be geared to coincide with their evolving emotional and physical development. Our unique three Mini-Camp System is designed to allow for distinct and unique programs that are tailored to the age of the camper. For example, the length of the activity periods and amount of choice increase as a boy enters each Mini-Camp. Even wake up and bedtimes vary. 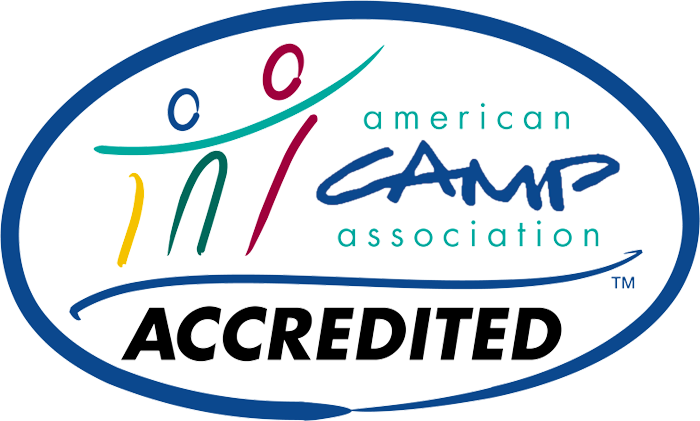 Additionally, each Mini-Camp has its own set of facilities, size-suitable to their ages, as well as dedicated Key and Counselor Staff who we believe are best suited for each age group. 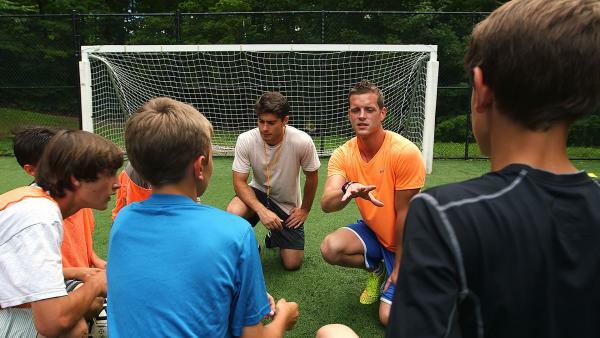 This allows boys to be part of a small and closely knit group yet an integral part of the total camp experience. Our Mini-Camps include; 1) the Junior Camp, comprised of our youngest boys, which is divided into three groups (Soph A’s and B’s and Juniors), who have completed the second, third and fourth grade respectively, 2) the Intermediate Camp, made up of boys who have finished the fifth and sixth grade (Inter A’s and B’s) and 3) the Senior Camp, which is comprised of our oldest boys, who have completed the seventh, eighth and ninth grades (Senior A’s, B’s and C’s). 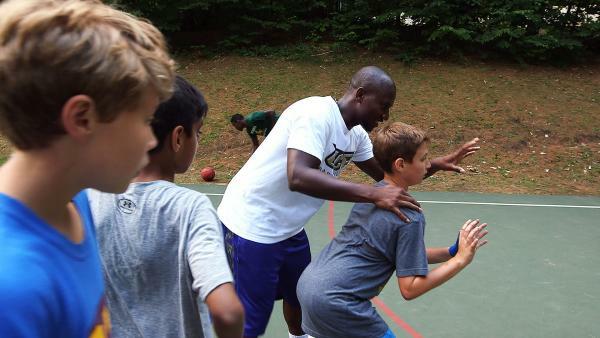 Our Mini-Camp system is another way we care for our campers in the best possible way. 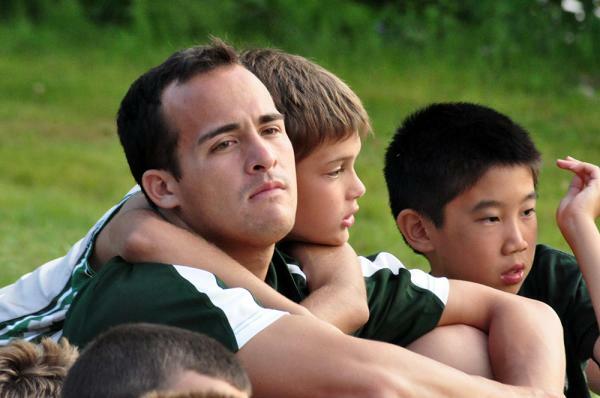 We believe that the most important role a counselor plays at camp is that of a bunk counselor. 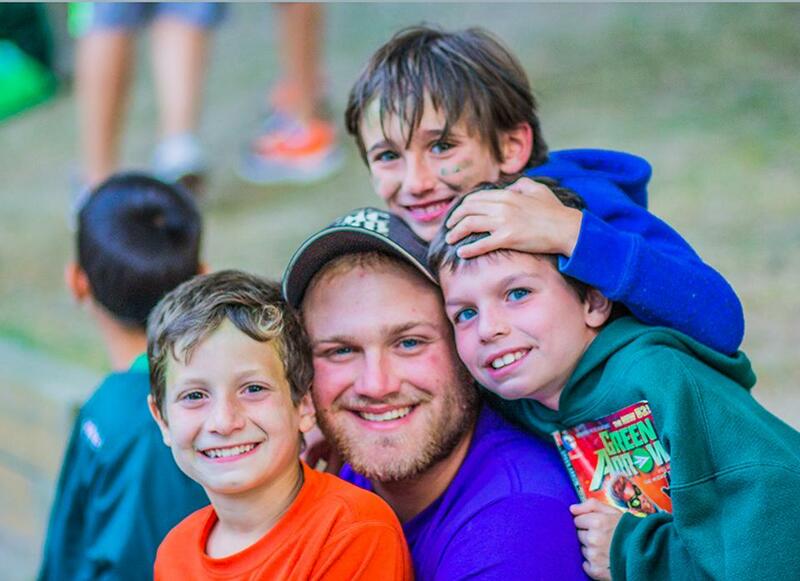 This is because the relationship between a counselor and his campers, along with how much attention and positive feedback he gives them, will be the major determinant in a camper’s comfort and happiness. While most camps, who hire counselors as Specialists or as Generalists, (the latter are often made to feel that they are the least important among the staff), we believe that camps that hire counselors primarily as Specialists (i.e.- to be a basketball or baseball instructor, etc. ), are making a critical mistake. 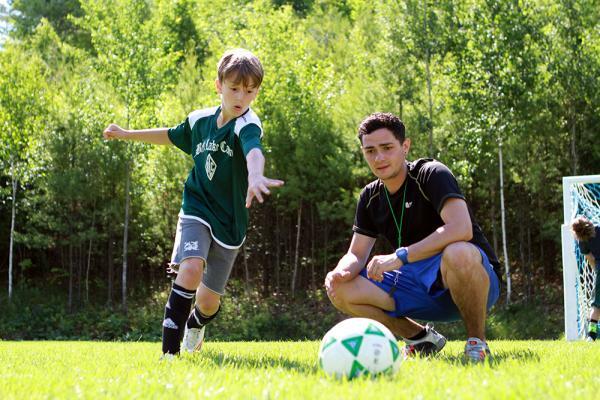 At Brant Lake, even though we have some very talented athletes, and many terrific, experienced coaches, we hire counselors who enjoy being with kids, are nice human beings and will be great role models for kids. 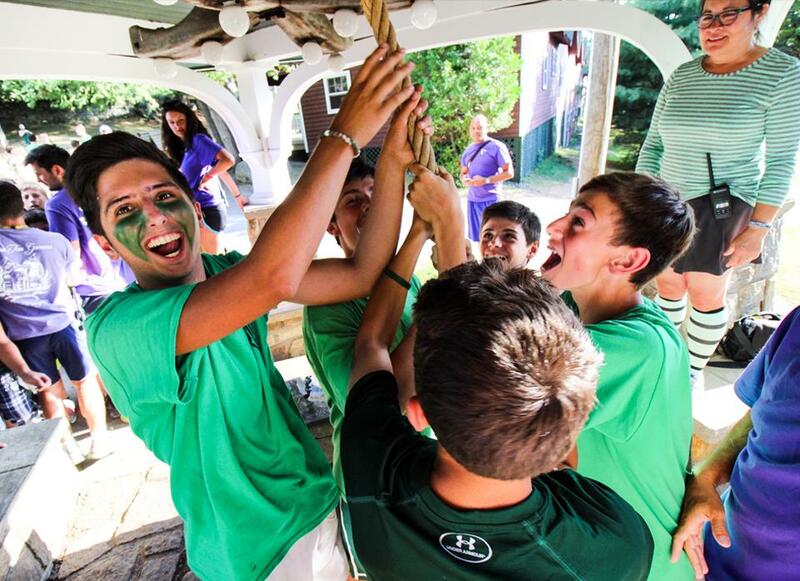 We want every counselor to know that their first responsibility is to the boys in their bunk. Secondly, to the boys in the age group that a counselor is living with. And thirdly, but still important, to the activity in which he can best be helpful to our Key Staff. Almost no one teaches the same activity for more than half of their day (common exceptions are some tennis pros or waterfront staff). 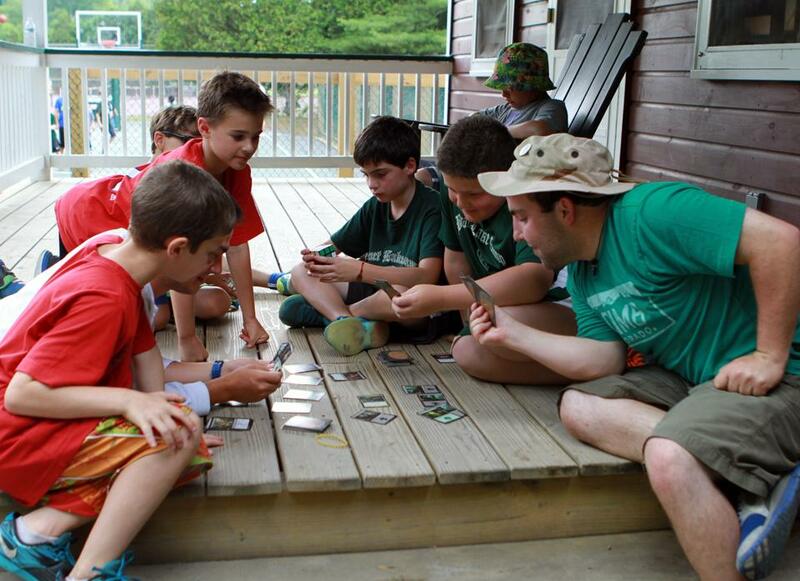 The rest of the day, most all counselors serve as ‘Generalists’, traveling with the boys in their group, and enabling them to build close relationships with campers. This also keeps them from getting burned out in their areas of expertise. We believe this “Hybrid System” is the best way to care for kids while providing top flight instruction and the best camp experience. Our contention is that a camp that has articulated a logical, rational, and comprehensive philosophy towards sports is far more likely to provide a program that will provide a positive experience for all campers, exposure to a variety of sports, proper sports instruction and skill development, age-appropriate coaching and the rewards of competitive play. 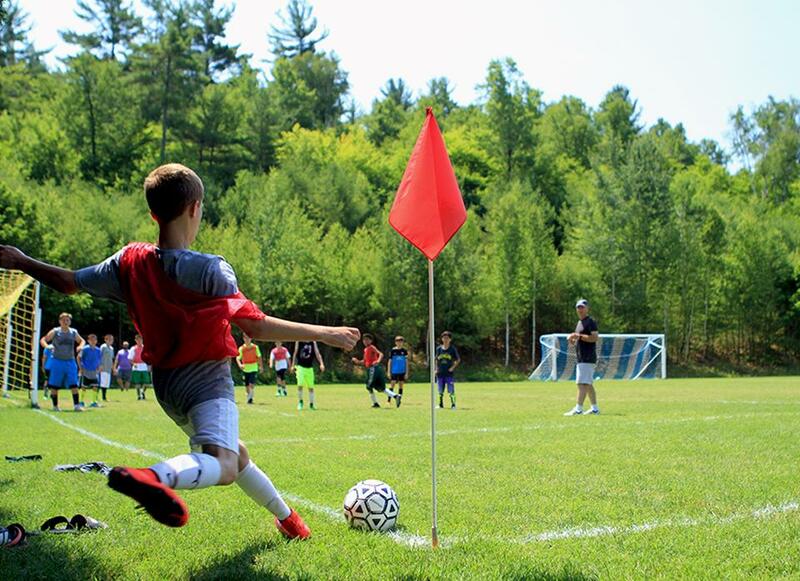 At Brant Lake Camp, we have a thoughtful plan for every aspect of our sports program, in each of our three Mini-Camps, and that is why we believe we are truly a camp– “Where Sports Are Done Right”. You can read more about our unique approach to sports and our philosophy on what we refer to as “appropriate competition” in the ‘Sports Done Right’ section of this site. At a time when many kids going into 8th , 9th and 10th grade are interested in options such as teen tours, specialty camps, overseas programs, etc., boys seem eager to return to BLC. This is due to what we believe is a very dynamic Senior Camp program involving more choice of activities, more trips to places like Montréal, Boston, Toronto, etc., more social opportunities, more trips to concerts and the movies, to mention a few. 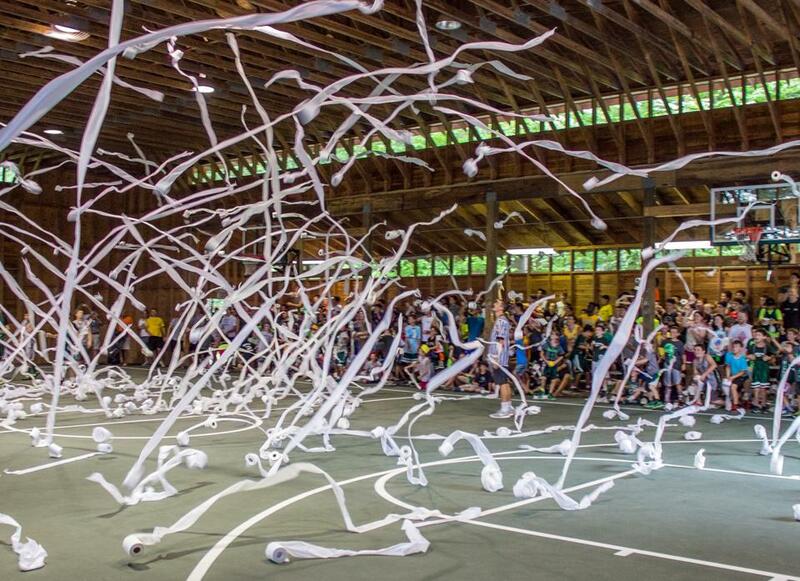 Please see the Camp Life section to learn more about what we believe is a more thoughtful approach to providing new and exciting programs and activities for our older boys.